The Australian Gold Nugget, sometimes also called Gold Kangaroo, is a gold bullion coin minted by the Perth Mint. 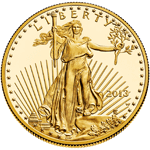 This is a pure gold coin in protective wrappers to protect the delicate gold surfaces. In additional, it has a "two-tone" frosted design effect, and changes the design of kangaroo yearly; all of those heighten its appeal as a collectors' item. Face Value : A$3000, A$1000, A$200, A$100, A$50, A$25, A$15, and A$5. Diameter : 74.50 mm, 59.70 mm, 40.40 mm, 32.10 mm, 25.10mm, 20.10 mm, 16.10mm, 14.10 mm. The Australian Gold Kangaroo was first introduced in 1986 minted by the Perth Mint. From 1986 to 1989, the reverse of these coins were featured with various Australian gold nuggets, until 1989, the reverse design was changed to feature different kangaroos - a prized symbol of Australia. In 1991, 1 kilogram, 10 oz and 2 oz sizes were introduced. In October 2011, 1 tonne gold kangaroo coin was created by the Perth Mint, which is about 800 mm in diameter and 120 mm in thick, with the face value of A$1 million. In fact, the market worth was over A$53 million at that time. The obverse of the Australian Gold Kangaroo is a head shot of Queen Elizabeth II of England who influenced importantly on Australia's history and modern state. 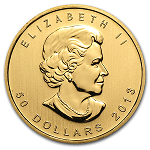 The head portrait is encircled by the words of "Queen Elizabeth II", the coin's denomination and "AUSTRALIA". This design of which traditionally remains the same from year to year. From 1986 to 1989, the reverse of the coin was depicted various Australian gold nuggets. Following the 1989 proof edition, the design was changed to depict different Kangaroos that is one of the Australian prized symbols. The design of kangaroos is changed each year. 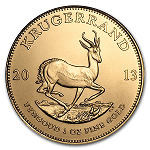 Since the design of reverse, the coins are also referred to as "gold kangaroos". There are five sizes of Australian Gold Kangaroo coins: 1 kg, 10 oz, 2 oz, 1 oz, 1/2 oz, 1/4 oz, 1/10 oz and 1/20 oz, and their corresponding face value are A$3000, A$1000, A$200, A$100, A$50, A$25, A$15, and A$5. Those face values are legal; however, the face value of gold kangaroo is not equal to the market value. In fact, each Australian Gold Kangaroo coin's price is according to the gold spot price of current market plus a premium per coin. 1. The Australian Gold Kangaroo Coin owns unique design, and the purity, weight and legal tender value of each gold coin is guaranteed by the Australian Government. 2. The Australian Gold Kangaroo Coins are with extremely high liquidity, you can easily buy and sell anywhere in the world where the precious metal are traded. 3. The Australian Gold Kangaroo Coins are small and exquisite, so that easy to store, or transport. 4. The Australian Gold Kangaroo Coins are minted in 24 karat gold without any strengthening alloy. 5. 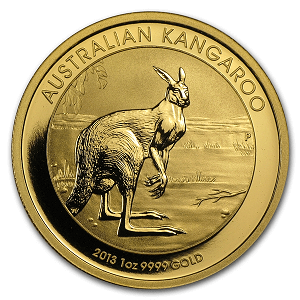 Unlike other pure gold bullion coins, the Australian Gold Kangaroo is in individually capsulated in protective plastic covers, which is to protect the coins surfaces. 6. The Australian Gold Kangaroo offers different sizes (including 1 kg, 10 oz, 2 oz, 1 oz, 1/2 oz, 1/4 oz, 1/10 oz, and 1/20 oz) for you select. 7. 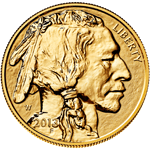 The changed design of kangaroo and a "two-tone" frosted design effect, these features give the gold nuggets a unique market niche.